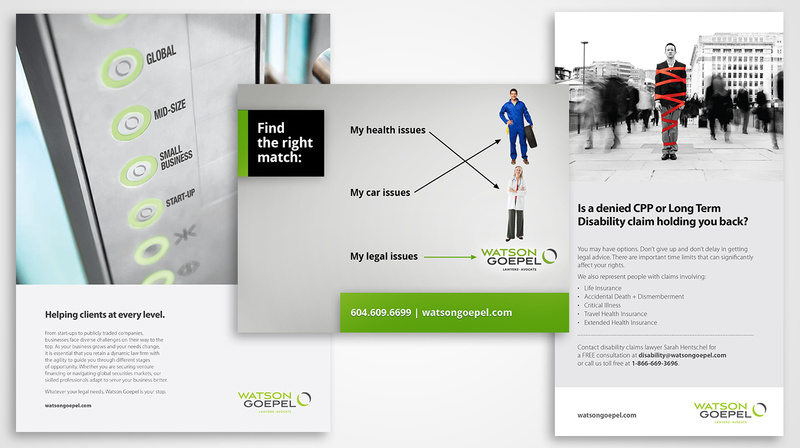 Watson Goepel LLP came to us with a deadline. On March 18, 2013 sweeping changes to the BC Family Law Act were set to come into force. The firm wanted to take a proactive approach to the legislative change, using it as an opportunity to raise their profile in the competitive environment of law firms offering family law services. Breaking out of conventional thinking, Skunkworks developed a humorous video advertisement for Watson Goepel that strategically ran on YouTube in the weeks leading up to the March deadline. With a limited media budget, YouTube represented a perfect fit for this forward thinking law firm. 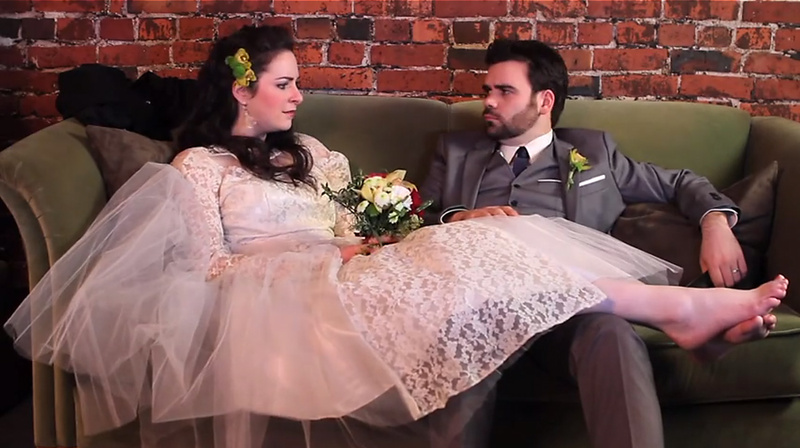 In exchange for a relatively small media buy, our single YouTube advertisement received tens of thousands of views. 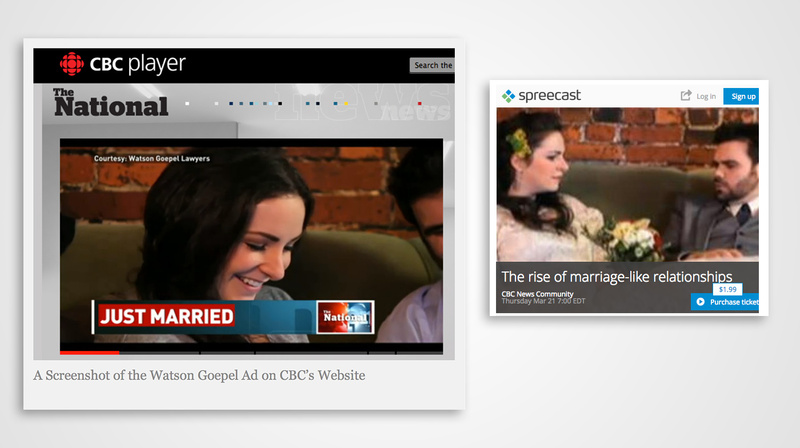 And by getting out in front of the story in an innovative way, our piece garnered significant earned media coverage for our client when the story became a major news piece on the day the legislation came into force, as the CBC’s The National prominently featured the advertisement in a news piece leading off their flagship evening newscast. By training our agency’s creative eye on an upcoming future event with a focused objective, Watson Goepel was successfully established as the firm to contact regarding the new Family Law Act.